Patronage of ports in neighbouring countries, especially the Port of Cotonou in Benin Republic, has been rising as more importers have found succour there due to the difficulties in evacuating goods from Lagos ports. This is coming as the cost of evacuating containers from Apapa and Tin Can Island ports shot up by over 483 percent. From an average of N120,000 for transporting containers, the cost has risen to more than N700,000 per twenty feet equivalent unit, TEU, following the collapse of the access roads to Lagos ports. Another importer, Mr. Emeka Amadi, said that, “Apapa road had defied all manner of solutions. 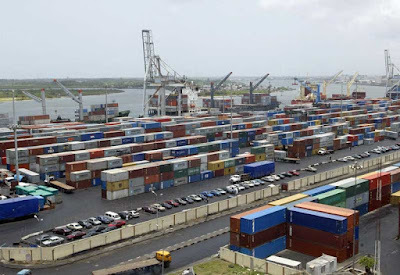 Despite the directives few weeks ago by the Vice President, Yemi Osiabnjo, the container drivers have defiled all odds and blocked every available space.” However, the importers urged the Federal Government to intervene and quickly develop other sea ports in the country to ease the Apapa and Tin-Can ports.